Type of flower: Perennial. Plants can grow to a height of 30 inches and produce daisy like flowers 2.5-3 inches in diameter. Plant in full sun. 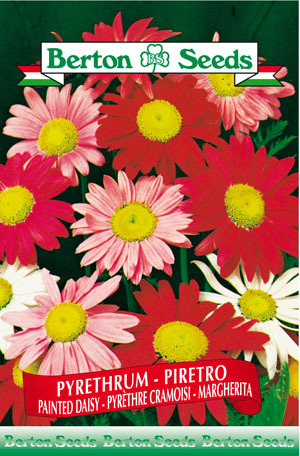 Sowing instructions: Plant seeds 0.5 inches deep indoors in March or directly outdoors in July. Transplant seedlings spacing plants 18 inches apart. Will bloom the following May-June.